In the last 25 years, ambulatory surgery centers and surgical hospitals have become an anchor in the healthcare industry. ASCs, such as South Lake Surgery Center, are healthcare facilities that allow patients to have surgeries and procedures conveniently performed outside of the hospital setting. Since their inception, ASCs have demonstrated an exceptional ability to improve quality and customer service while simultaneously reducing costs. LSU Healthcare Network entered into a partnership in January with South Lake Surgical Center, a freestanding multidisciplinary ambulatory surgery center located in LaPlace. The 9,700-square-foot facility is equipped with seven pre-operative rooms and eight recovery bays. The South Lake Surgery Center offers eight specialties: orthopedics; gynecology; ophthalmology; gastroenterology; general surgery; urology; pain management; and ENT surgical services. With these specialties, South Lake Surgical Center offers access for patients who need diagnostic testing and surgical services in the River Parish area. 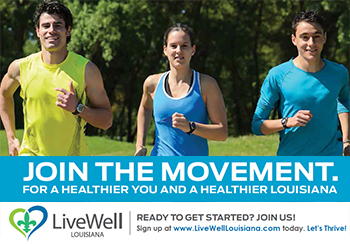 “We aim to enhance and expand health services provided for the residents of the River Parishes and surrounding areas in partnership with local providers,” says J. Christian Winters, M.D., CEO of the LSU Healthcare Network. Three areas in which patients have benefited from having the convenience of an ASC in the LaPlace area are in gastroenterology, orthopedic and urological surgeries. Dr. John Harrington, a board-certified gastroenterologist, is a member of the original physician group that created South Lake Surgery Center. The group of established physicians recognized that the River Parishes region needed a surgical center, so they pooled their resources and experience together to develop South Lake Surgery Center. South Lake Surgery Center proudly offers a superior level of care by consistently monitoring quality of services to ensure that it provides convenient, quality, outpatient surgical services in a setting that invites medical partnerships and a team approach to medical solutions. Awarded the American Association of Ambulatory Health Care accreditation (the highest level of certification in the field), South Lake Surgery Center is committed to offering the safest and highest level of care to it surgical patients. “We look forward to working with South Lake to expand the scope of services to this rapidly growing community and to serve the needs of the surrounding area,” Dr. Winters says.